PLEASE NOTE: This story is about Big Brother 12. If you’re wanting to know when Big Brother 13 starts, we’ve got all of the details for you here. The start date for Big Brother 12 has been set for a Thursday, July 8th premiere on CBS. Read more about the start date here. Get the latest Big Brother 12 news and media on our homepage — or watch the houseguests 24/7 on the Big Brother live feeds with a 3-day FREE trial! FOLLOW US ON TWITTER! Be the first to know with Big Brother news breaks by following @wlbb on Twitter. At the end of Big Brother 11, CBS announced that Big Brother was renewed and BB12 will premiere during the Summer of 2010. 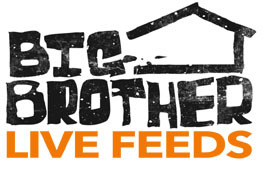 Remember to visit WeLoveBigBrother.com for Big Brother 12 during the summer of 2010! Big Brother 12 is right around the corner with a July 8th start date and news about BB12 has started to surface. Read the latest BB12 news, including casting information, right here on WeLoveBigBrother.com. Less than a week before the two-hour finale of “Big Brother 11,” CBS is already making plans for Big Brother 12. The network announced today it has ordered another edition of the hit reality series for broadcast in the summer 2010. Online, BIG BROTHER 11 is the Number One show on CBS.com and across the CBS Audience Network in all key metrics with 25% more unique users and 94% more video streams than last summer. CBS.com also logged a record 11.6 million votes when Jeff was awarded the “Coup d’etat” Power.